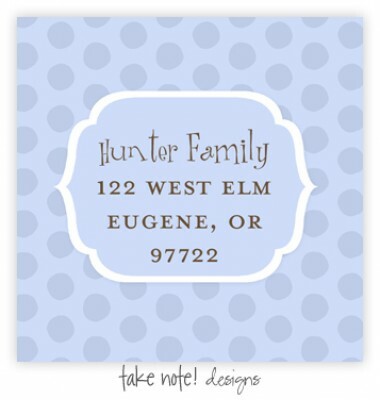 Custom address labels are the perfect complement to your greeting cards, announcements, or invitations. These labels are perfect for use on favor boxes also. Available in sets of 20.